Bluewater Energy was founded in 2003 as a professional and dependable technical services company to support the growing needs in the power, industrial, and oil/gas marketplace. 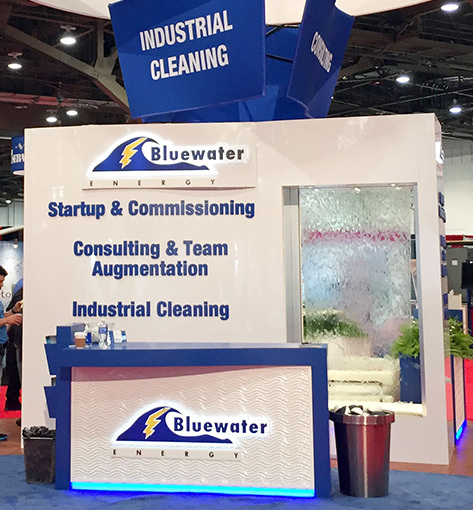 Many in the industry know us as “Bluewater,” the startup & commissioning group. Since our inception, the company has grown and expanded its service offerings and brand in the industry. Bluewater Energy, Inc. was formed as Bluewater Energy Solutions, Inc. Over the years, our organization expanded from just providing staff augmentation resources to our customers to providing a more robust set of services including turnkey or itemized startup & commissioning services and industrial cleaning services. As this expansion occurred, the company reorganized to our current format with Bluewater Energy, Inc. as the parent company with three subsidiary service unit companies operating underneath to comprise the full family of Bluewater companies. Putting our employees and customers first with a focus on providing value-added services has earned Bluewater Energy, Inc. a reputation as a leader in quality and performance within the technical services industry. Bluewater Energy strives to uphold its reputation with a safety-first culture, proven processes, dedicated staff, and flexible approach to meeting our customer and employee needs. For additional information please view our three subsidiary service units.